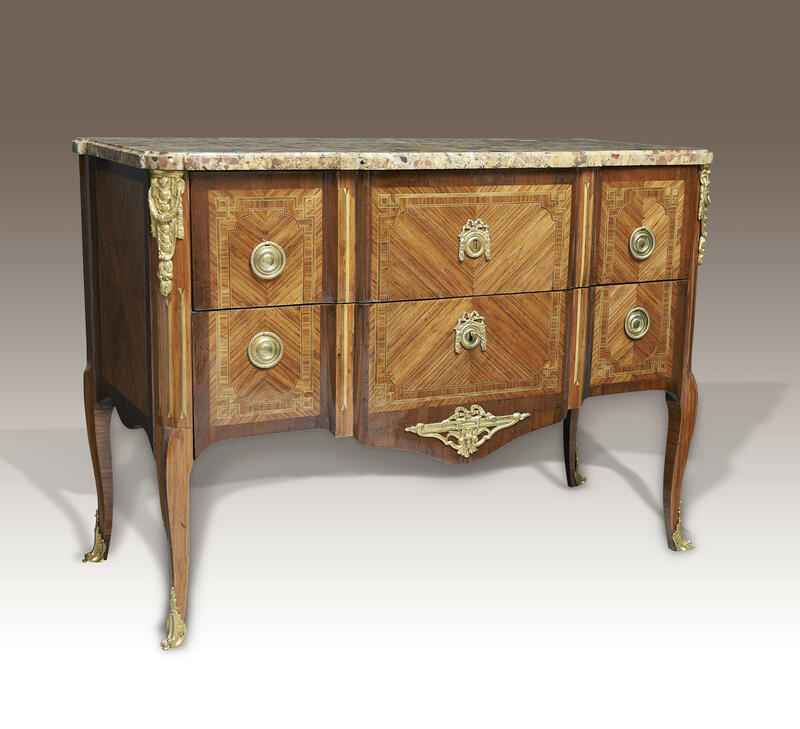 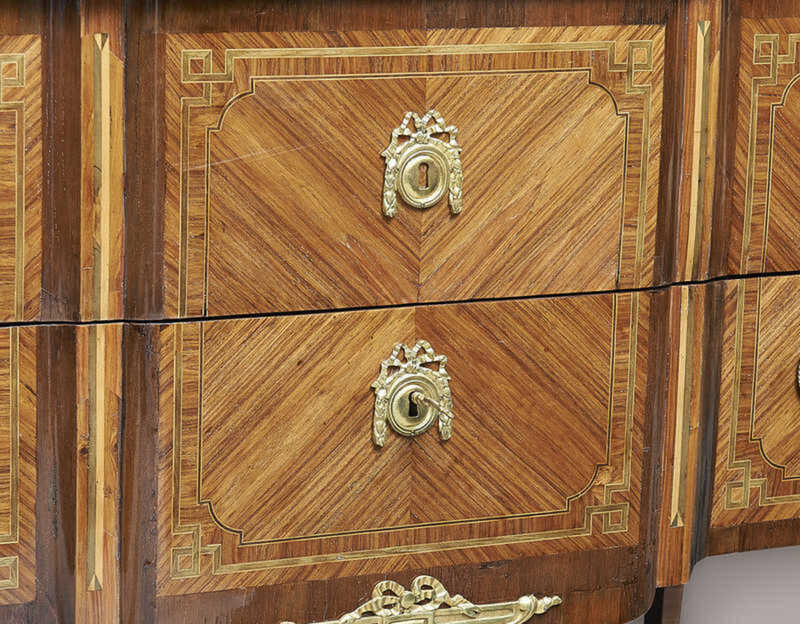 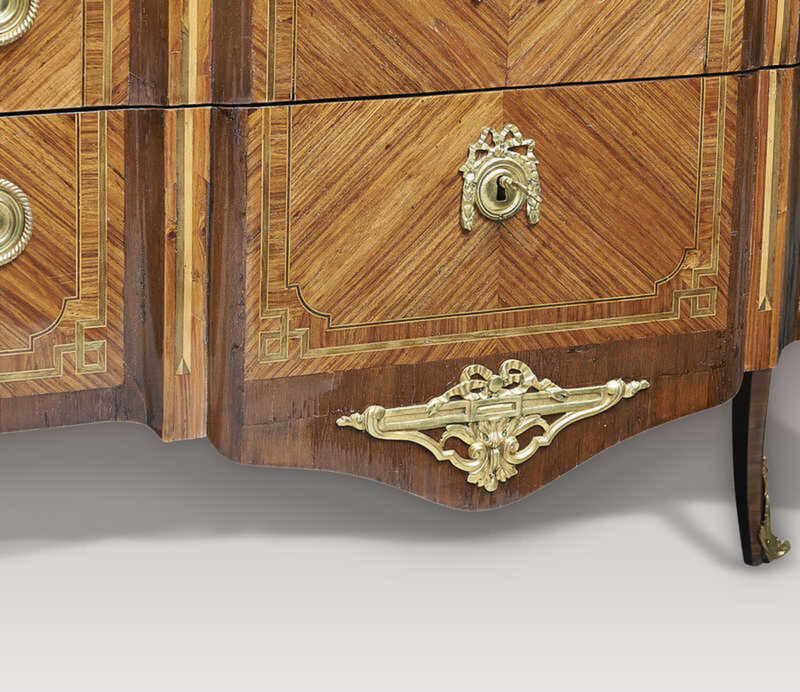 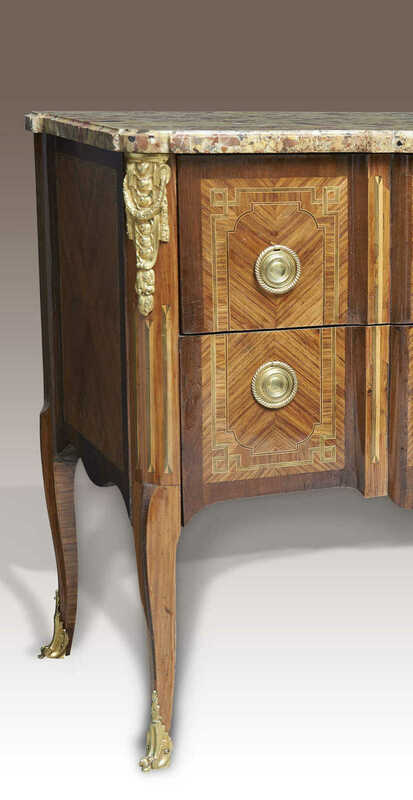 A Louis XV/XVI transitional commode, c.1770 of breakfront form. 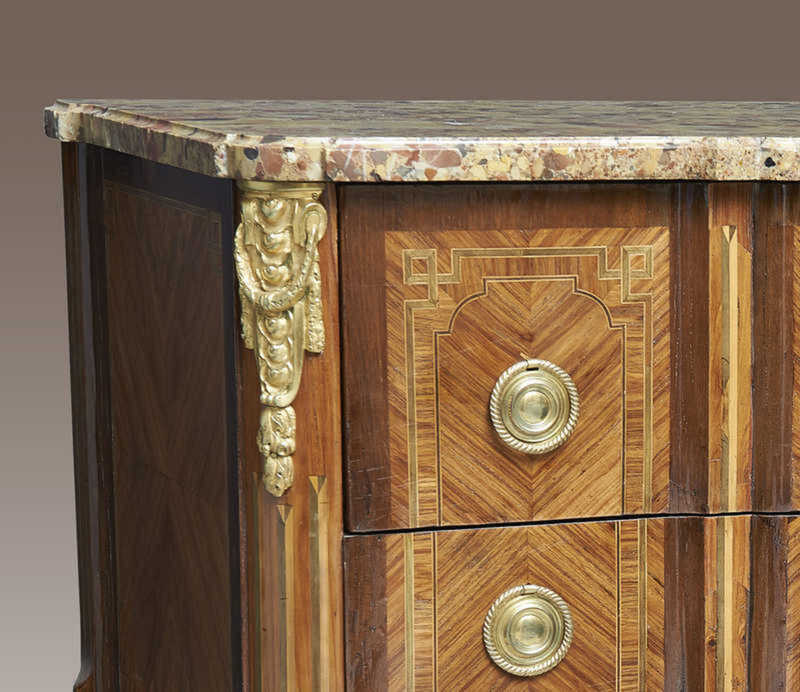 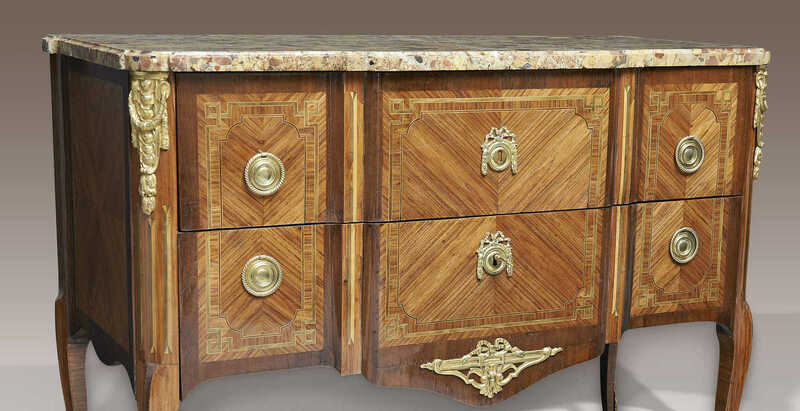 The shaped breccia marble top above 2 long drawers 'sans traverse', the whole fitted by gilt-bronze handles, escutcheons and sabots. 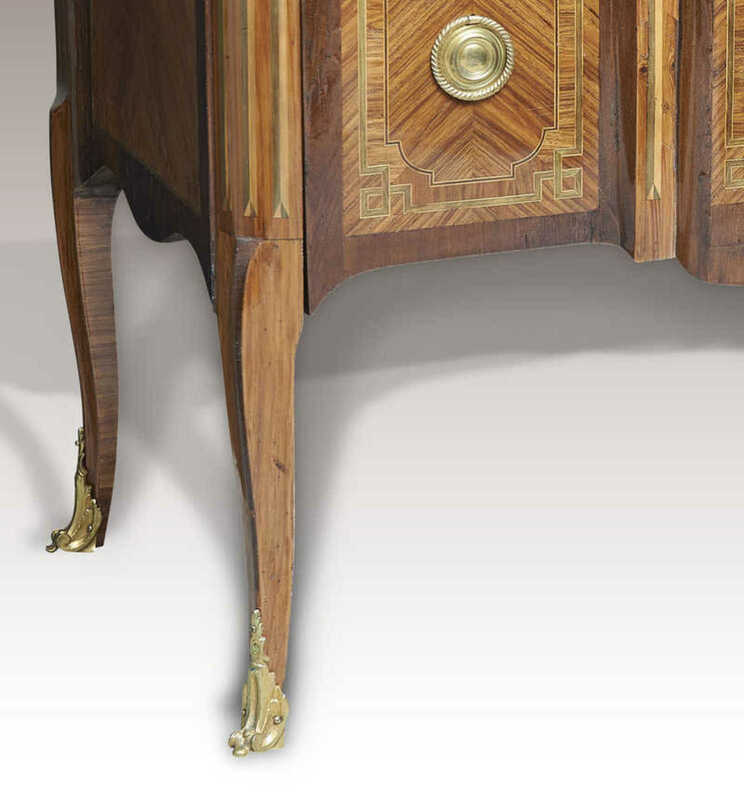 Raised on cabriole legs.